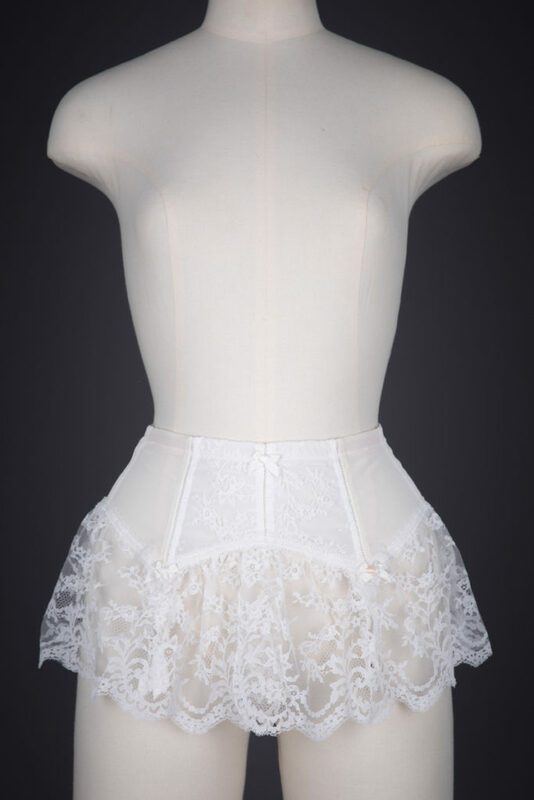 This pull on suspender is made of a mix of firm stretch powernet, nylon lace and sheer nylon mesh. 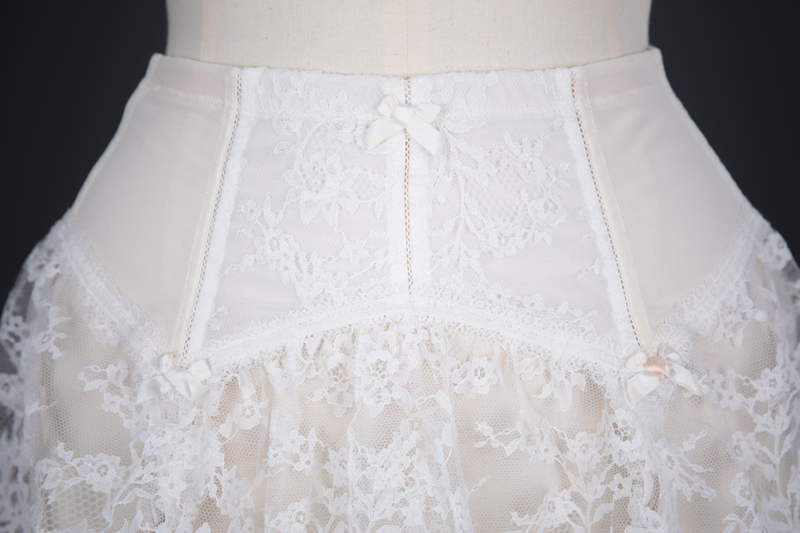 Each seam features a decorative faggoting style ladder braid. 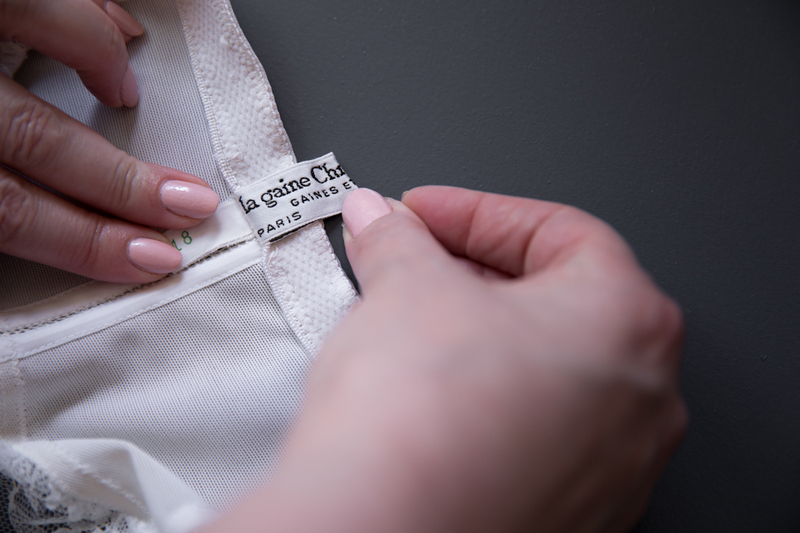 The waist is hemmed with a firm, plush backed elastic for a secure fit. 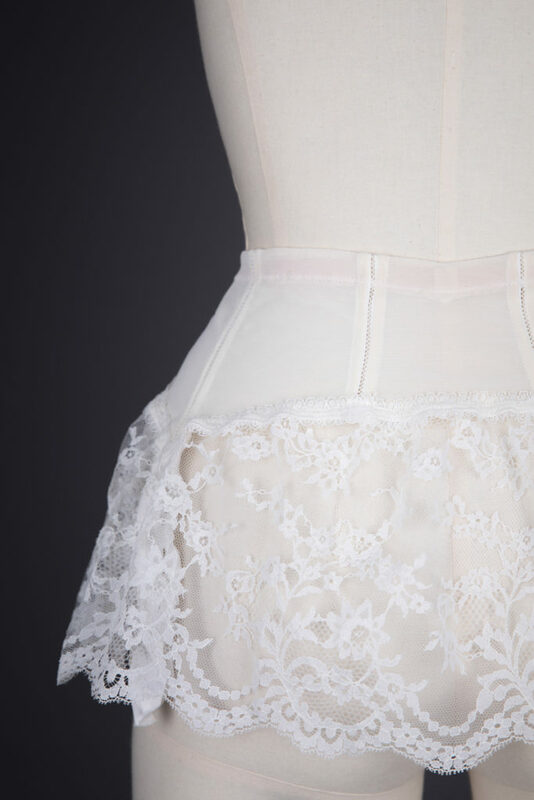 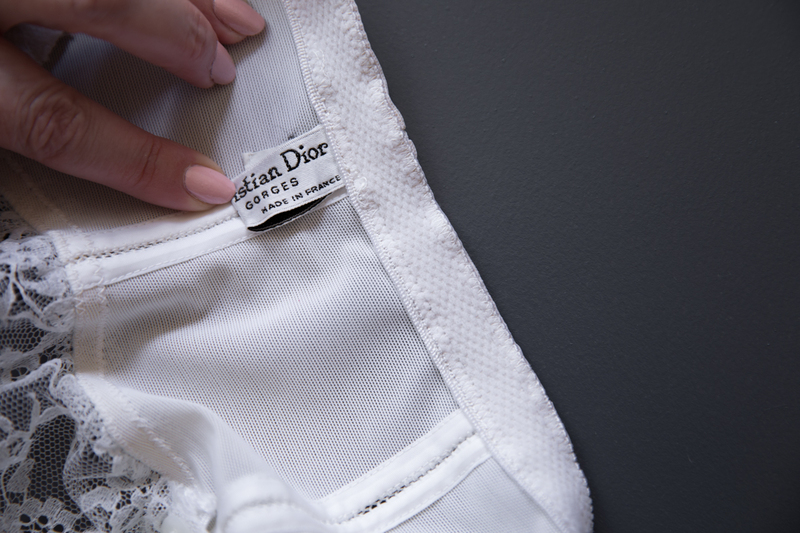 The bottom edge of the suspender is trimmed with a narrow decorative nylon lace, and a wider lace skirt that is gathered into the hem and split at the centre front for freedom of movement. 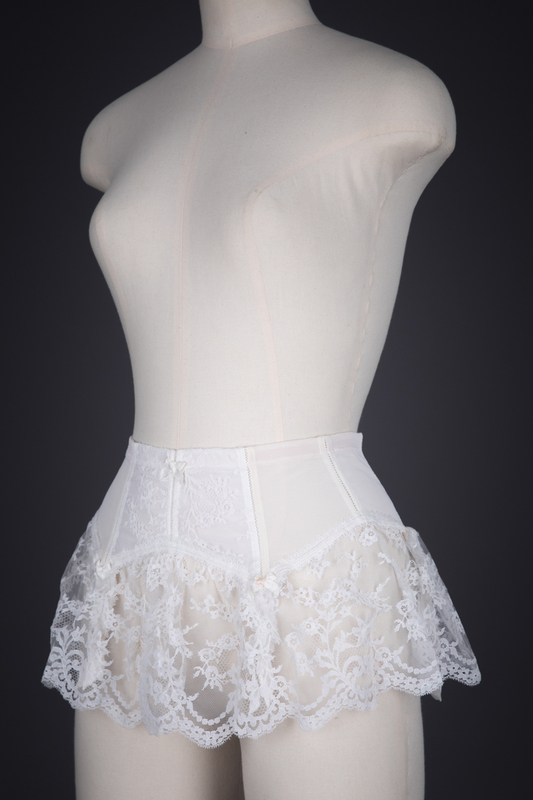 There are four elasticated suspender straps, with each suspender clip covered by a satin ribbon flash. 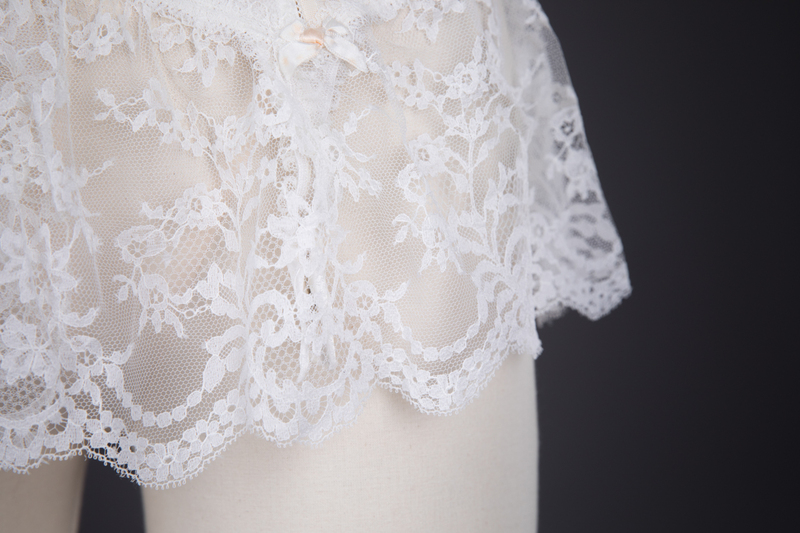 Decorative satin ribbon bows embellish the front of the garment. 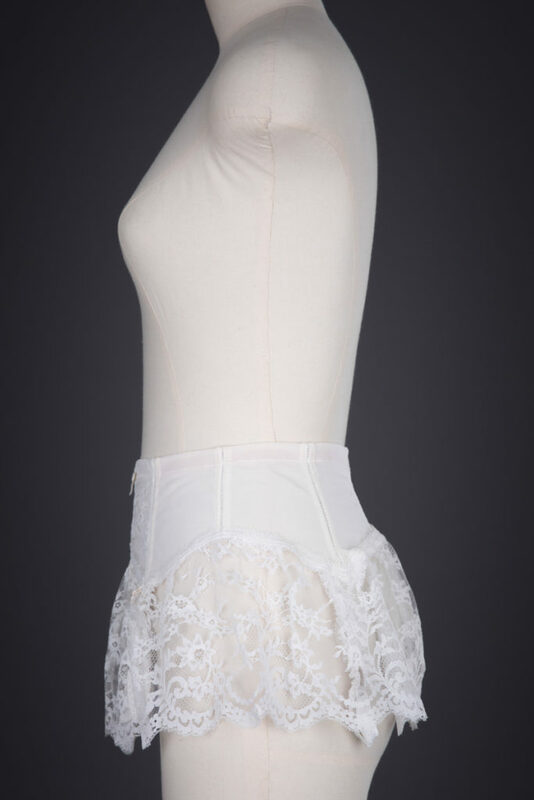 This garment was designed by Marc Bohan, who was the creative director at Dior between 1960 and 1989. 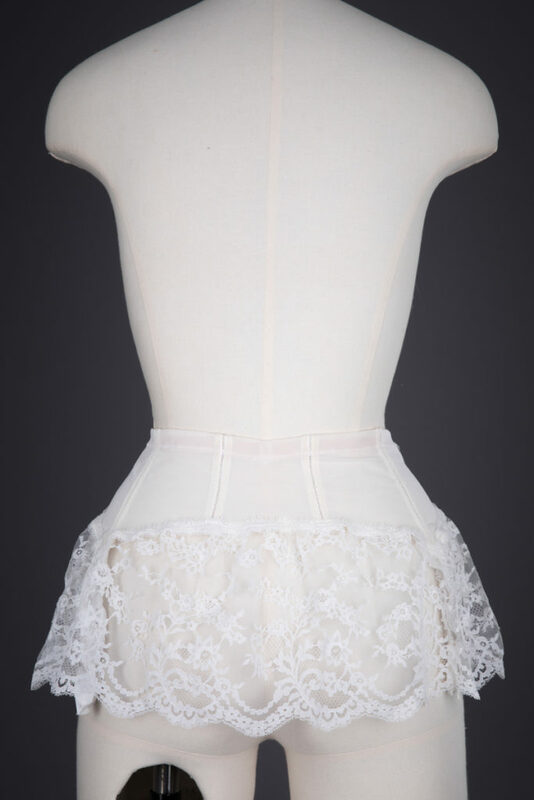 He succeeded Yves Saint Laurent and was the second designer to head the house after Christian Dior’s death. Similar garments are held in The Metropolitan Museum Of Art’s collection here and here. 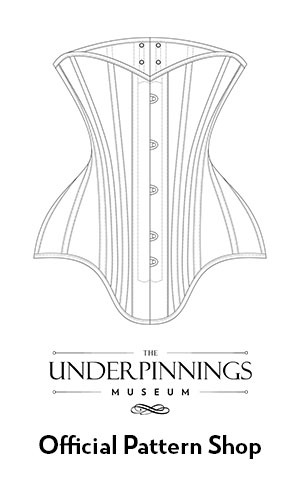 It appears that this design was available in at least 3 different colourways: white, black and cream and pale blue.